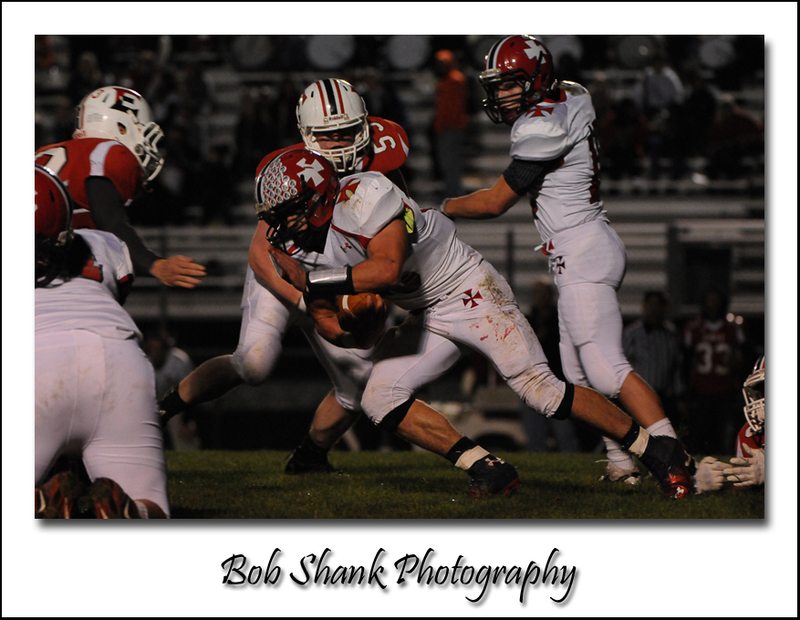 Running backs and quarterbacks get a lot of action in a football game. They handle the ball a majority of the time and play after play have the opportunity to make the difference in a game. 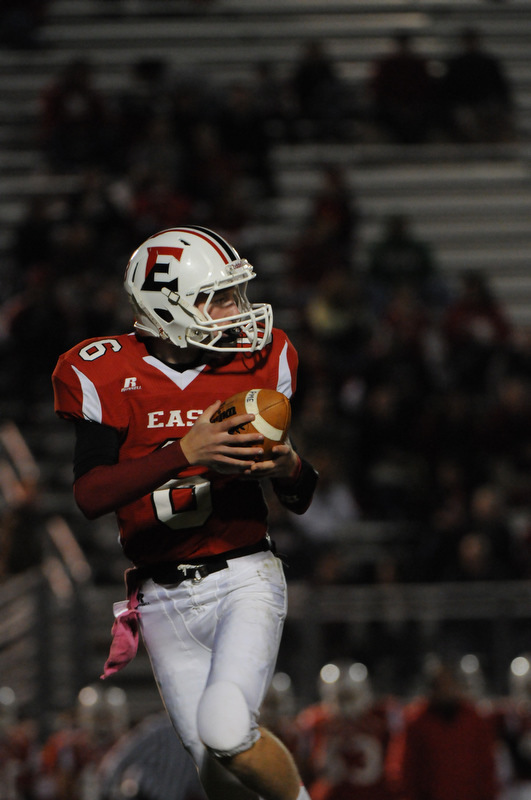 Keeping an eye, or viewfinder rather, on the quarterback is fairly easy. Even tracking a handoff to the running back is pretty easy to follow. But you have to be ready for anything: fakes, pitches, throws, and reverses are just a few of the possibilities. The action can get pretty furious at times, which is all part of the excitement of sports photography. There is nothing like it! 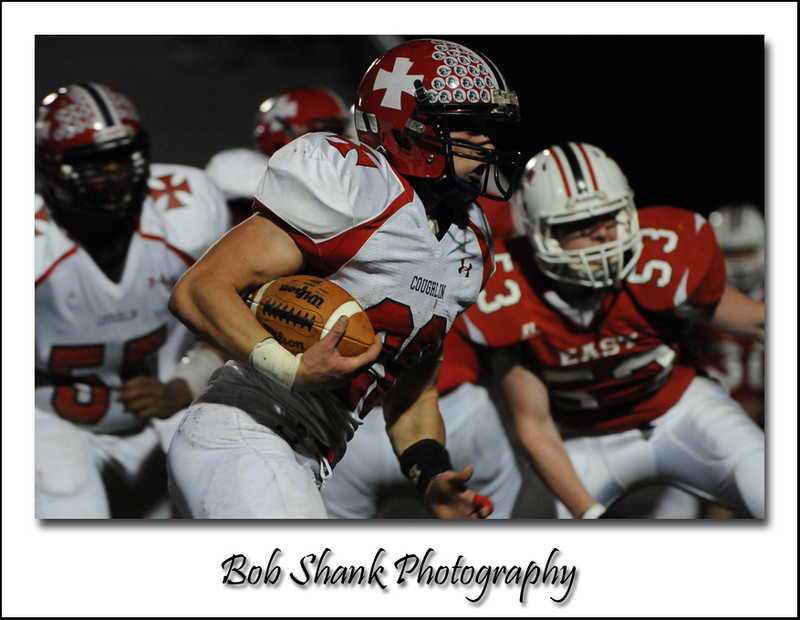 These athletes put their game on the field and we get the privilege of capturing the action with our cameras. We have to pay attention and be quick, too, with our cameras at least. 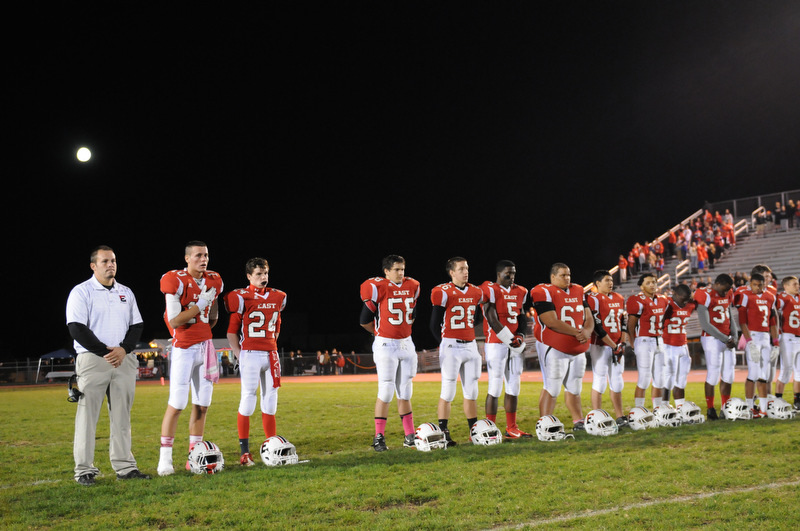 I played football in high school–a receiver on offense (back in the day it was called “split end” and cornerback on D. I recall fondly the excitement of Friday night football in the pre-game warmups. There was absolutely nothing that came close to matching that feeling! 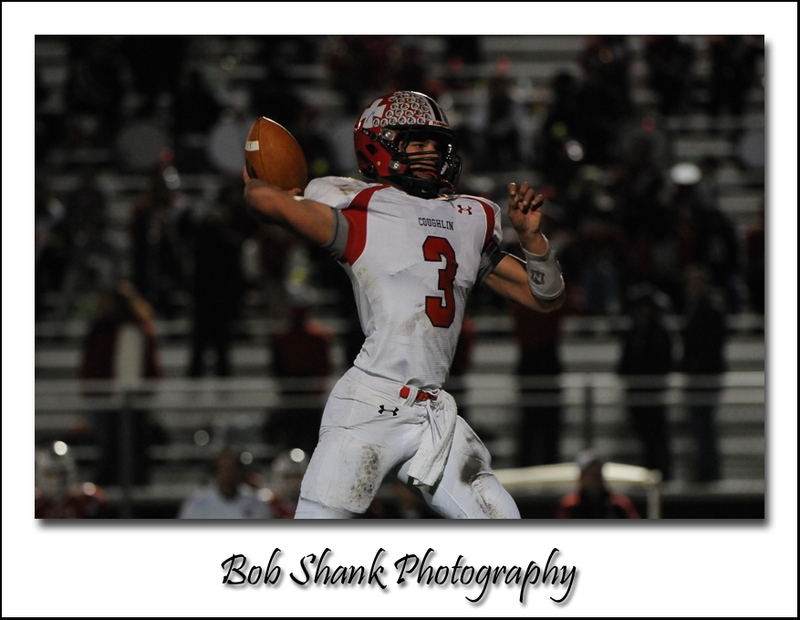 Now, behind the viewfinder and along the sidelines or behind the endzone, I still have the opportunity to feel this feeling on Friday nights! Running backs take a lot of punishment on almost every carry. They seek the running lanes created by the lineman but typically meet face-to-face with linebackers and other defensive players waiting to lower the boom on them. Quarterbacks take some punishment, too, especially when they are sacked. 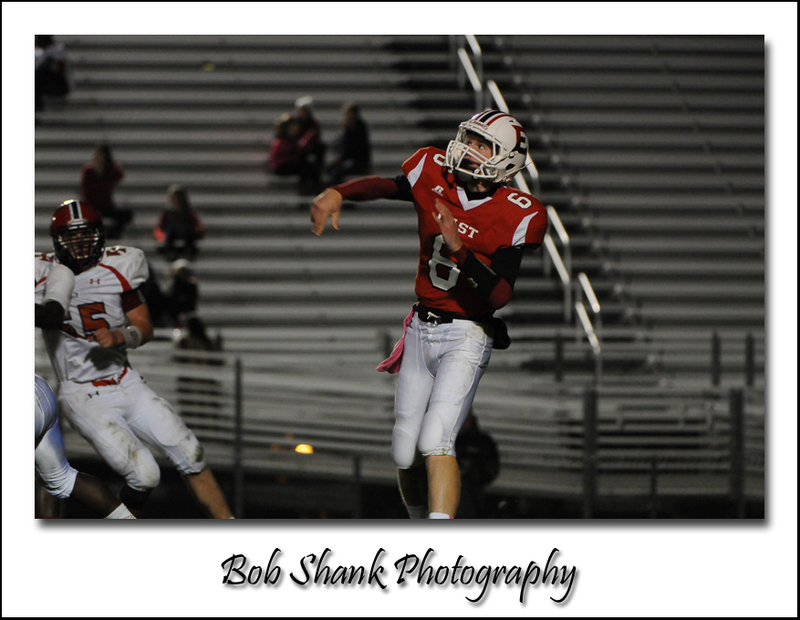 These two positions are fun to watch and a thrill to photograph during a game! 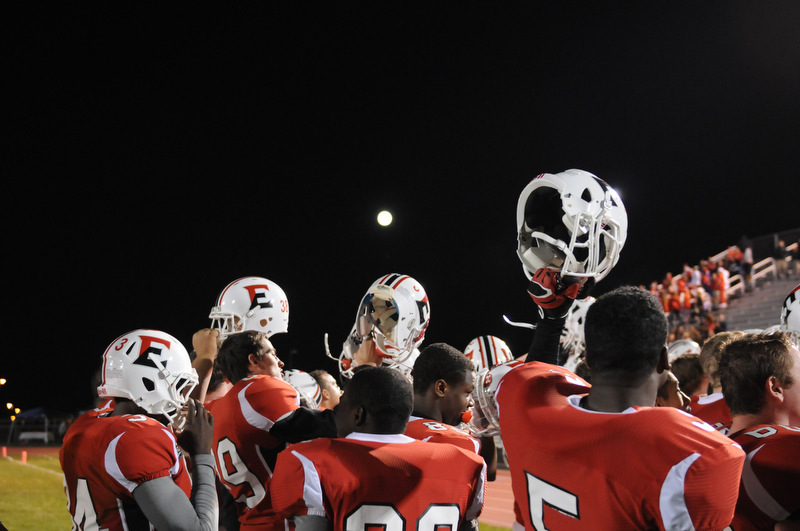 A full moon created a fitting backdrop for the upcoming Halloween season last Friday night at Pocono Mountain East. 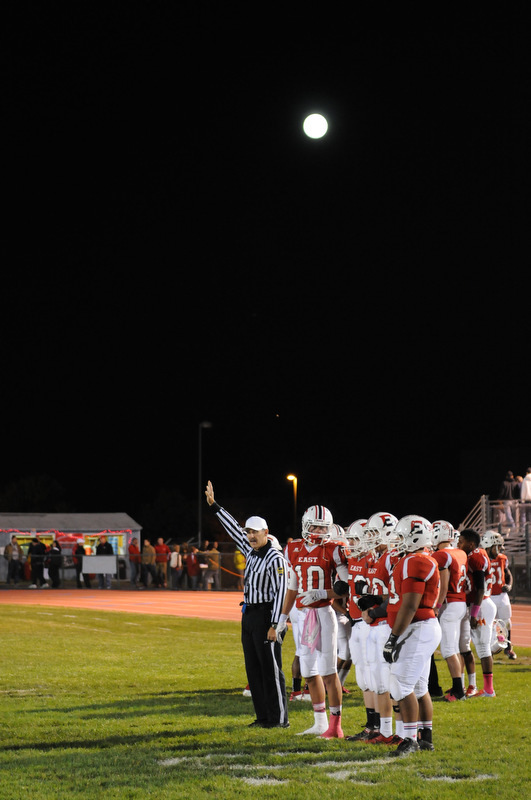 It was homecoming, it was Friday night football, and it was a Harvest Moon! 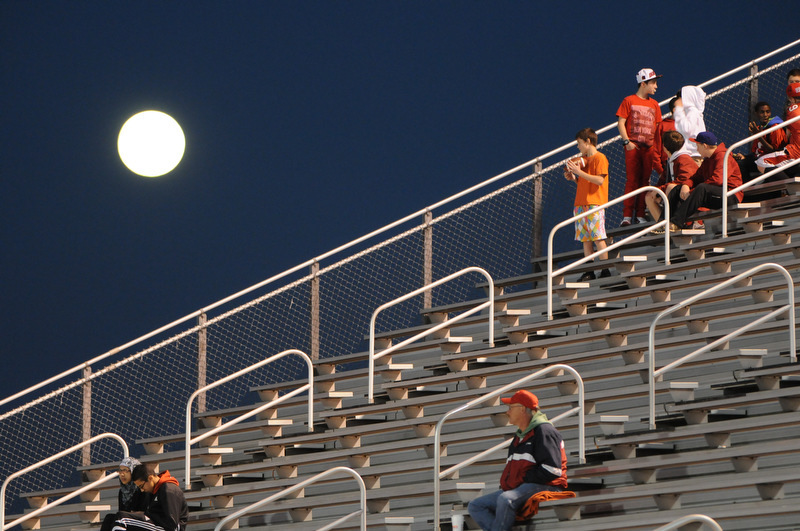 I always enjoy capturing the exciting atmosphere of a high school Friday night in the fall. The anticipation is high and enthusiasm streams through the air like no other time of the year! 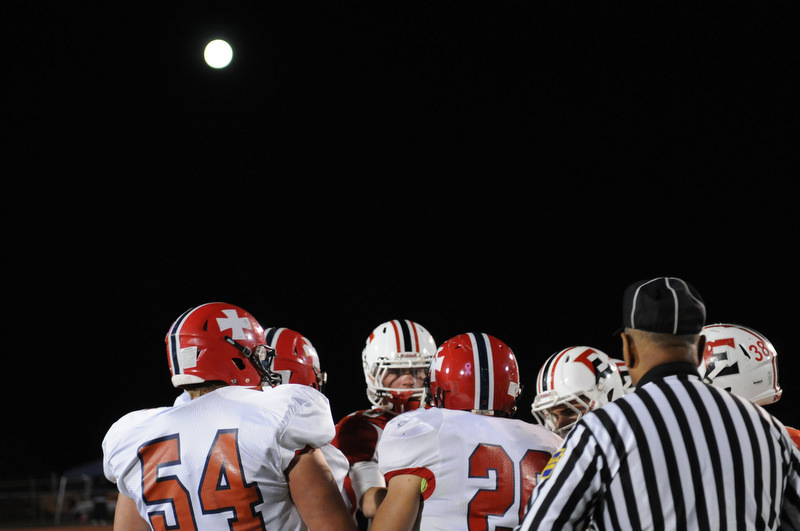 The referees were aware of the moon in the background. At first, it was very low in the sky and it appeared to be so close you swore you could almost reach and touch it! At the very least, it provided a very interesting added feature to the football photographs. 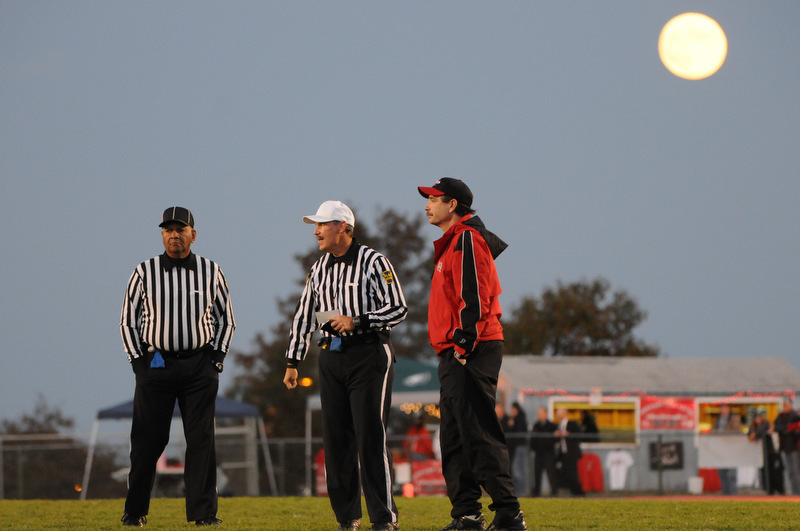 Even the routine shaking of the hands before the coin toss had a different appearance with the Harvest Moon in the background. Even as the game progressed into the night and the moon rose higher in the sky, it still provided some fascinating photographs. 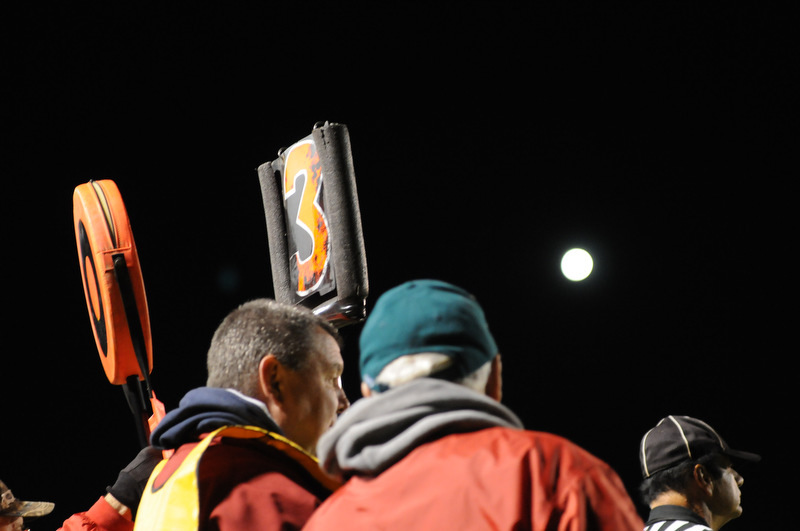 Coaches, referees, and players are the typical subjects on a Friday night under the lights. Add another light–a Harvest Moon, and the sky is the limit! Well, not literally of course, but at least figuratively!